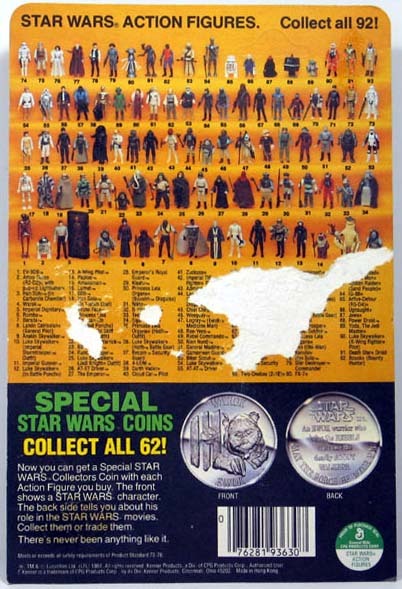 Boba Fett collectors, eat your hearts out! 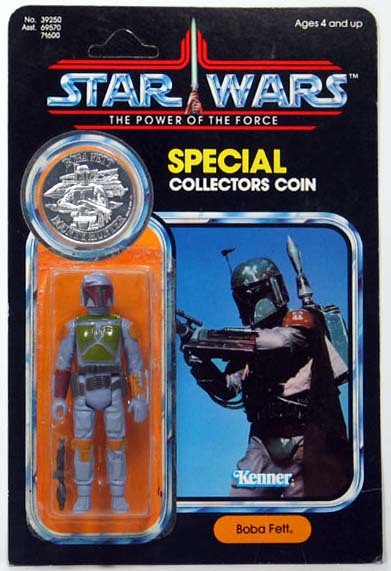 All joking aside, it wouldn't be an exaggeration to say that this is one of the most significant carded Boba Fetts in existence, ranking right up there with the Rocket Fett Toy Fair sample. 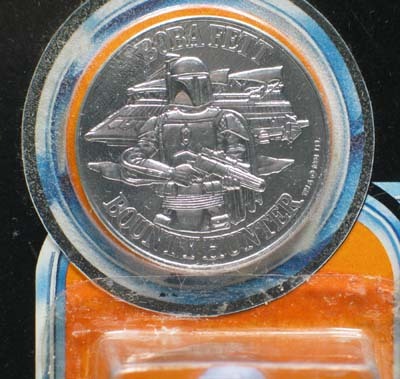 Even though a Boba Fett coin was issued, Fett was never produced in POTF packaging, making this sample truly special. Like other mock-up samples, this figure was hand made with a proof card and hand cut bubbles. 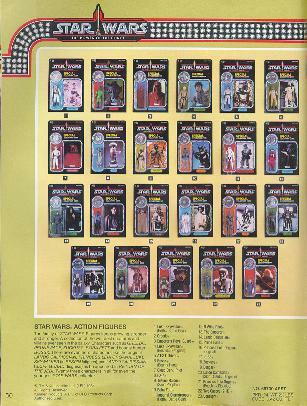 This particular sample was used for the 1985 Toy Fair catalog where other similar unproduced POTF figures are pictured. Take notice-- it is the actual figure seen on that page in the catalog. Here is a close-up that clearly shows the two separate bubbles for the figure and coin.